Bedroom Plants – The bedroom is a place that most of us consider being our sanctuary, a place where we can rest and relax, and get a good night’s sleep. But little do we know that the chemicals that are present in our room such as formaldehyde coming from insulation and carpet backing, trichloroethylene that is present in our dry cleaning, and benzene from the solvents and paints in our room, can redistribute into the air that we breathe when we sleep, which can affect the quality of our sleep. How then can we help reduce this? By adding some bedroom plants to your space. There are those who say that having plants in your bedroom is not really recommended, but the majority of homeowners who grow plants in their bedroom say otherwise. You see, plants respire just like us humans, but in reverse order and through a much slower process: plants absorb carbon dioxide from the environment and produce oxygen during the day that can then be released at night. If you are wondering what benefits you may experience from having indoor plants in your bedroom, here are a few that you should know. One of the benefits that you can get when you have indoor plants in your bedroom is that it can help make it feel more alive. Any living plant can brighten up your space. Adding a potted plant on your bedside table or off to one corner of your room can help make your space more appealing. As mentioned earlier, certain toxins such as formaldehyde, benzene, and trichloroethylene, xylene, and toluene can be unintentionally redistributed into the air in our bedrooms. In the right conditions, plants can have a purifying effect on the air as they absorb and trap some of these toxins and release oxygen, thus making the air that you breathe cleaner. What other benefits can you get out of your indoor plants in the bedroom? It appears that taking care of your plants as you wind down for the day can help reduce the feeling of stress and anxiety. Even touching the leaves of your plants for 2 minutes can have a positive impact on your stress levels. If you want to transform your bedroom into a more liveable and breathable space, you will need more than just plants in your room. 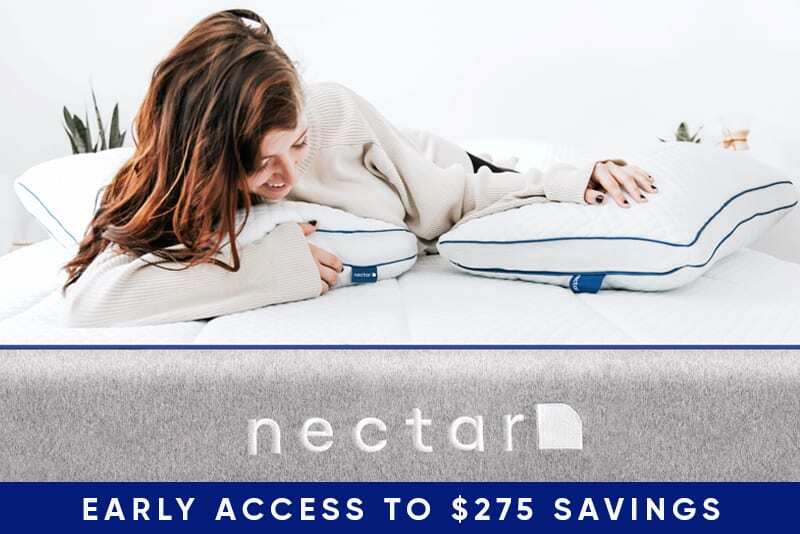 You also need to ensure that your space is well ventilated and that you are sleeping on a comfortable mattress with fresh linens, fluffy pillows, and clean blankets. This should help you get a great night’s sleep. 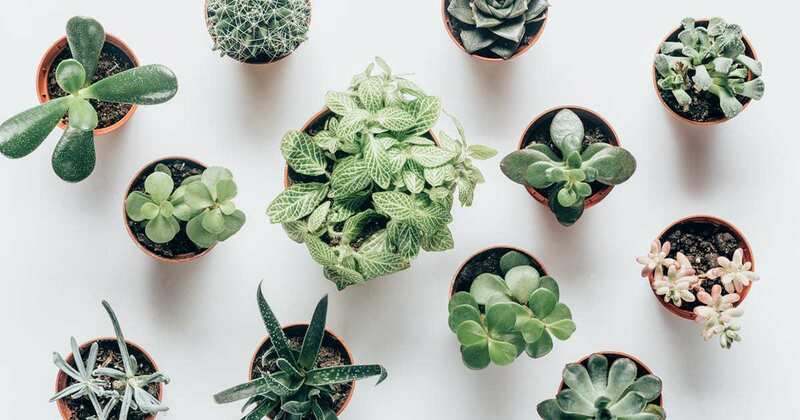 Now that you have an idea on some of the benefits of having bedroom plants, you’re probably thinking which houseplants are the best for your bedroom? The good news is that there are several options for you to consider depending on the style of your room. 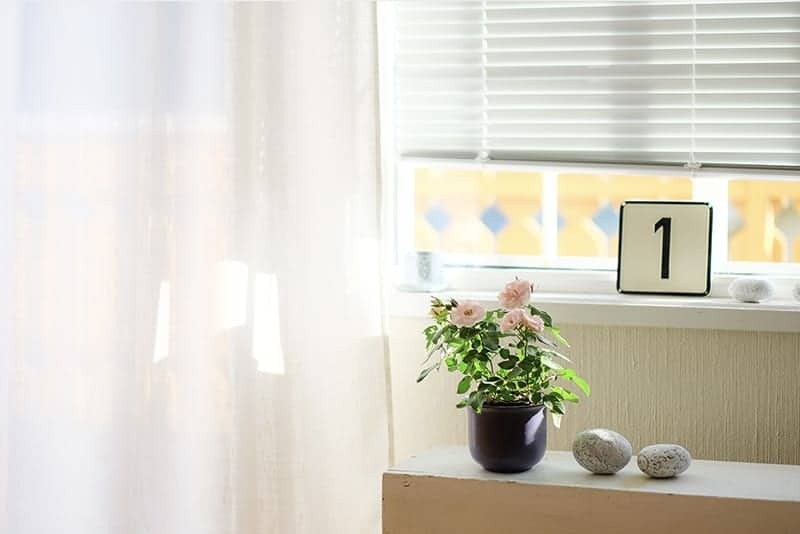 Do you have ample sunlight filtering through your windows? Or are you the type of person who needs a low-maintenance type of plant? We have rounded up several options of bedroom plants that you can use to get that restful sleep you’ve always wanted. See our list of some of the best houseplants for bedrooms below and find your perfect match. If your bedroom is not getting enough sunlight during the day, investing in bedroom plants for low light is highly recommended as they are easy to maintain, and will thrive even when there is minimal sunshine. Here are a few that you might want to consider purchasing for your bedroom. This is probably one of the most popular bedroom plants that you’ll find as it grows fairly well in high or low light areas. It’s known for having glossy leaves and can even handle all kinds of irrigation systems. It’s easy to spot whether your plant needs watering as its leaves and flowers can become droopy but should perk back up when water is reintroduced. You can place it near the windows to help encourage blooming or, if your space doesn’t get enough sunlight, you can opt for the domino type of peace lily as it can thrive well in low light. The English Ivy can spread easily when growing outdoors with plenty of exposure to sunlight, but it can also easily thrive even in low light. 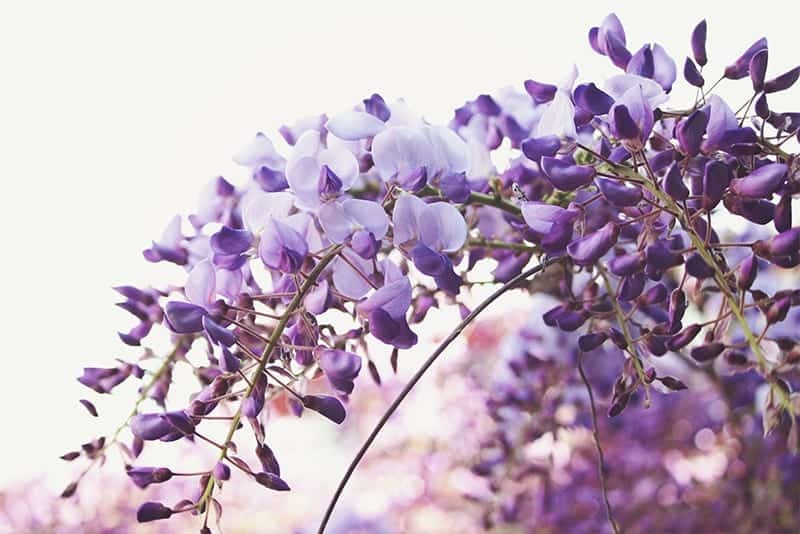 Place it in a hanging basket in one corner of your room, or near the windows, and you’ll see it trailing new leaves reaching your windows and curtains. 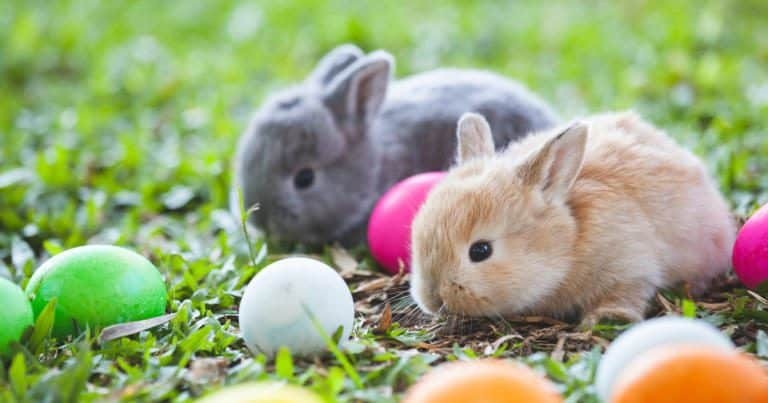 They can do well even with minimal watering, so they are okay to leave behind if you want to go on a trip. 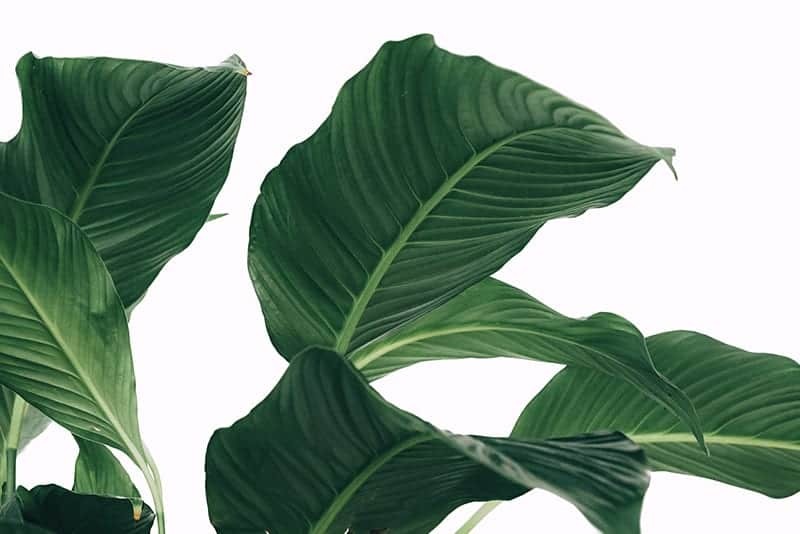 Philodendron may have been originally popular back in the 70’s, but they will always have a place even in modern homes, especially in bedrooms of homeowners who want a no-fuss plant to grow. You can pot them, hang them, or place them anywhere you like. Just make sure that it does get a little amount of light as it may not do well in no light situations. Bedroom plants have different lighting needs. Some can thrive in indirect sunlight, while others need full sun exposure for a certain number of hours. For those whose bedroom has ample sunlight, investing in plants that can work well under sunlight are a great option to consider. Here are a few options. If you want a bigger plant to add to your bedroom space, try the parlor palm. This plant loves bright, but indirect light which makes them ideal for corners near windows and in average humidity levels. If you want to grow one, you need to make sure that the soil is evenly moist but don’t soak it too much or it will die. Another common household plant that is easy to propagate, pothos can survive any kind of lighting from bright to low light. Its signature thick leaves trap water in them, so they can usually go for days without being watered. The soil should be on the drier side as often as possible. You can place this on your windowsill, or a table by the window to get plenty of sunshine. Not only will this give out plenty of oxygen at night, but it can also absorb toxins from the air too. If you want to help improve your sleep quality at night, adding a scented geranium–and thus some aromatherapy–in your bedroom is a logical choice. Although geranium is a flowering plant, this version doesn’t bloom much, but it certainly makes up for the lack of flowers with its beautiful scent. You might be surprised to find that its leaves can smell like apricot, nutmeg, lime, cinnamon, rose, and the like. This plant loves warm, sunny, and dry conditions, so you can put it in an area of your bedroom where there is an abundance of natural light. To create a bushier plant, pinch the stems in areas where dried leaves and flowers are found. Installing bedroom plants can certainly help improve the quality of your night’s rest, because you can get plenty of fresh, clean oxygen that helps soothe and reduce anxiety and stress levels. Tossing and turning at night can cause you to miss out on quality sleep which can affect your mood and energy levels the following day. Aromatherapy can also help you improve the quality of your sleep, so scented plants are a great option for your bedroom. Which bedroom plants should you get to help you fall asleep? Here are a few choices to consider. If you need help with your night’s sleep, placing a pot of jasmine in your bedroom is highly recommended as the scent of jasmine has been found to produce a calming effect for those who suffer from anxiety. This plant is often listed as one of the best bedroom plants as it helps with purifying the air. What this plant does is emit plenty of oxygen at night, which helps you sleep better too. Another benefit to raising an aloe plant in your bedroom is that it usually does not require frequent watering. From a single pot of aloe vera, you can grow more in no time so you’ll get the chance to put them in most of the rooms of your house. Just make sure that you position it by your windows as it requires plenty of direct sunlight. 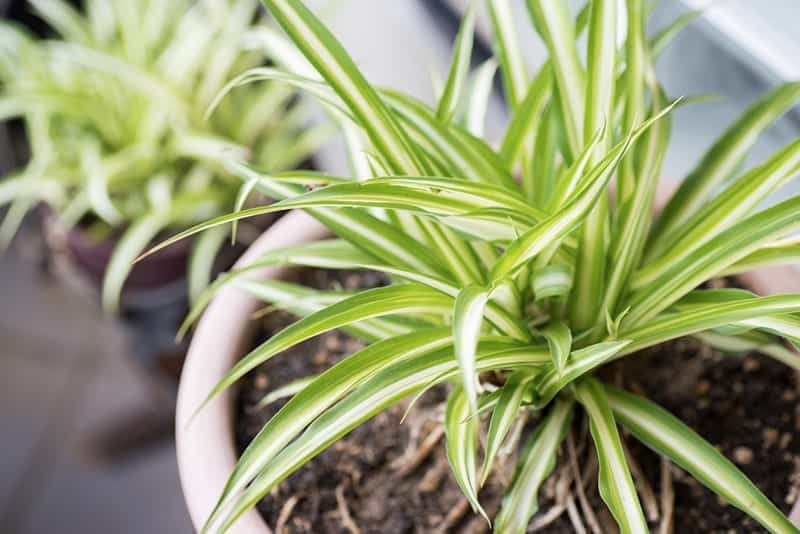 Another example of the best houseplants for a bedroom that can help you sleep better at night is the spider plant. It is known for its ability to cleanse the air, removing certain toxins that you breathe. You may also notice that foul smells from the room can be reduced when you have this plant inside. The best part? It can thrive in all kinds of lighting conditions. As you can see, adding bedroom plants to your space can mean more than just decorating your room. They can also help get rid of all the harmful toxins in the air that disrupt your sleep. Whether you are looking for a flowering plant, a hanging plant, or a plant that can be left pretty much alone, you will be spoiled for choices as there are dozens of options to choose from.